Luke is a Civil Senior Practice Assistant. His current responsibilities encompass the management and development of all aspects of barristers’ practices including diary management, allocation of new work; fee negotiation and fixing. Luke is primarily responsible for the following practice areas: Actions Against the Police, Prisons, Inquests and Inquiries and Crime related Public Law. Luke joined Doughty Street in March 2015 after starting his career at 42 Bedford Row in early 2010 and progressing to Civil Team Assistant in late 2012. Outside of work, Luke enjoys spending time in the gym and general socialising with both friends and family. Georgia is a Civil Practice Junior. Grace is a Civil Team Junior. Grace acts as a point of contact for all instructing solicitors, manages Counsels’ diaries effectively and undertakes any other tasks delegated by the Civil Team. 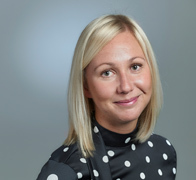 Grace joined Doughty Street Chambers in February 2019 having previously been a Personal Assistant to the Chief Executive at Matrix Chambers. Rachel is a Practice Manager and is responsible for diary management, fees negotiation, and business development. Rachel Joined Doughty Street Chambers in February 2011 after successfully completing her A Levels. She began her career in clerking as an office assistant at Doughty Street and quickly progressed to the position of Team Assistant in one of the civil practice teams, led by Sian Wilkins. This team specialises in Community Care, Education, Housing, Immigration and Mental Health. Rachel has also completed the BTEC Advanced Award in Chambers; Administration for Barristers’ Clerks. Rachel is currently undertaking a Spanish course and enjoys spending time with her family, in particular, her niece. Emily is a Civil Practice Junior in one of the civil practice teams, led by Sian Wilkins. This team specialises in Community Care, Education, Housing, Immigration and Mental Health. Emily is responsible for fixings, day to day diary management and administration of fees. Emily completed the BTEC Advanced Award in Chambers; Administration for Barristers’ Clerks. Emily Joined Doughty Street Chambers in March 2015 having previously been a Clerk at 1 Pump Court Chambers. Outside of work, Emily enjoys horse riding and spending time with her friends and family, especially her 2 younger brothers. Adam Tood is a Practice Manager. Adam joined Chambers in April 2019. Ben is a Civil Senior Practice Assistant. His current responsibilities encompass the management and development of all barristers’ practice including diary management, allocation of new work; fee negotiation and fixing. Ben is primarily responsible for the following practice areas: Clinical Negligence & Personal Injury, Product Liability, Professional Negligence, Mediation, International Civil Law and Information Law & Data Protection. Ben joined Doughty Street in February 2019 from Temple Garden Chambers. Ben has also previously worked at Cloisters Chambers and 36 Bedford Row. Outside of work Ben enjoys football and golf and is keen on trivia. Neil assists in the management and development of all aspects of barristers’ practices including diary management, allocation of work and fee negotiation. Neil is responsible for the following practice areas: Clinical Negligence, Personal Injury, Product Liability, Professional Negligence, Civil International Law and Mediations. Neil joined Doughty Street Chambers in November 2016, having previously worked at Arden Chambers, 36 Bedford Row and 1 Essex Court. Outside of Work, Neil is an avid movie goer, a frustrated snooker player and a Manchester United supporter. Callum joined chambers in May 2011 and is a Civil Practice Manager. His current responsibilities encompass the management and development of all barristers’ practice in the Employment, Professional Discipline, Media, Sport & Information teams. This includes diary management, allocation of new work, fee negotiation and managing client relationships. Outside of work, Callum enjoys all things sport and is one of the very few remaining Charlton Athletic season ticket holders. He clerks in the following practice areas: Employment & Discrimination, Professional Discipline, Media & Defamation. He joined Doughty Street Chambers in January 2017 and in June 2017, Sam passed the IBC’s Advanced Award in Chambers Administration. Sam’s interests include football (West Ham United), boxing and socialising with friends and family. Matthew is the Senior Crime Practice Manager. 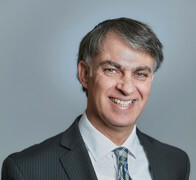 Matthew joined Chambers in April 2019. Marc is a Practice Manager. Marc clerks all aspects of crime, with a particular specialism in extradition work and international crime. Marc joined Doughty Street Chambers in May 2015 having spent 4 years previously at 1 Pump Court Chambers. With his previous experience in the commercial sector, Marc is active in promoting our criminal barristers. He has also undertaken training which allows him to advise members of the public who may wish to know more about instructing our barristers on a Public Access basis. He is a member of the Institute of Barristers’ Clerks and has been actively involved in the committee for the last two years. Marc is involved in arranging the IBC’s educational and social events. In Marc’s spare time he is an avid gym goer and car enthusiast. Sam is a Senior Practice Assistant. He clerks all aspects of criminal law and assists in the management and development of all aspects of barristers’ practices including diary management, allocation of work and fee negotiation. Sam joined Doughty Street in October 2016 following four years as a Crime Team Clerk at Garden Court Chambers. Sam has undertaken Public Access training for clerks which enables him to advise members of the public on instructing counsel directly on a Public Access basis. He is also a member of the Institute of Barristers’ Clerks. In his spare time he enjoys going to the gym, socialising with friends and supporting Arsenal FC. Rebecca is a Crime Practice Assistant, with particular responsibility for Extradition work. She joined Doughty Street Chambers in November 2018. Having received a BSc degree in Criminology Rebecca worked as caseworker and a team leader at the High Court in the Criminal Appeal Office. She has excellent knowledge of the Criminal Appeal processes and High Court procedures. Outside of work, Rebecca enjoys socialising with friends and family. Katie is a Crime Team Junior. She acts as a point of contact for all instructing solicitors, manages Counsels’ diaries and helps with the administration of fees. She joined Doughty Street in March 2019 after completing her BSc in Psychology and is excited to begin a career in Clerking. Outside of work Katie enjoys socialising with friends and family and is a keen traveller. Freddie is an Office Assistant. 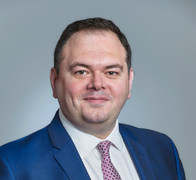 Freddie joined Doughty Street Chambers in 2018. Raimonda is an Office Assistant. Raimonda joined Doughty Street Chambers in December 2018. Michael is the Senior Revenue Controller. Michael joined Doughty Street Chambers in September 2012. Previously he worked as the Fees Clerk in a leading family law set for 7 years. Michael has been clerking in various areas of law since 1976. Over the last 12 years Michael’s career has concentrated purely on fee collection. His experience in clerking has given him a great understanding of how matters progress and assists him in relation to when matters should be chased. Terry is the Revenue Controller. Terry joined Doughty Street in 2009. Terry commenced his career in the legal sector working in the court department at Thompson Solicitors. Prior to that he worked at Field Court Chambers as a criminal clerk and at Francis Taylor Buildings. In his spare time Terry enjoys sports including boxing and playing golf and loves to travel. Norman is a Revenue Controller. Norman Joined Doughty Street in Jun 2013 having previously worked in chambers undertaking all aspects of common law. Norman has been clerking since 1972. His previous role as a Senior Clerk is invaluable experience for his current role. Matt is the Revenue Controller and is led by Michael Sweeney. His responsibilities include monitoring and chasing any aged debt fees and queries for the Civil team. He joined Doughty Street Chambers in November 2016. Outside of work, Matt’s interests include many sports such as Football and Boxing and enjoys general socialising. Sarah is responsible for the billing of criminal and extradition work and also assists with civil billing. Sarah began her clerking career in 2001 as a fees clerk in a common law set before moving on to roles as a Second Junior and then First Junior Clerk, specialising in Crime and Professional Discipline and Regulatory Law. Andreas is the Head of Finance and has overall responsibility for Chambers' finance functions. Andreas joined Chambers in September 2008. He trained in a small accountancy practice becoming a Client Manager responsible for a range of clients ensuring that their financial affairs were handled correctly and in a timely fashion. Andreas then became the Finance Manager for a thriving Central London firm of Patent and Trade Mark Attorneys. When they were taken over, he became Regional Financial Controller for the London and Cambridge offices. He is a qualified ACCA accountant and has a BA (Hons) in History. Beverly is the Finance Assistant. She is responsible for the day to day element of purchase ledger activities, together with various other financial administration duties. Beverly joined Chambers in February 2009, having come from a finance background in various industry sectors. Shahin is a Finance Assistant. She joined Chambers in 2018. Maurice joined Doughty Street in September 2014 to lead its newly restructured criminal clerking team. He has since taken overall responsibility for the business development and marketing of all Doughty Street's practice areas. He is involved in managing our key client programme, and is the main point of contact for new business. In particular, he designs solutions for clients who require multi-disciplinary advice, collating teams of barristers from our various practice areas, and he fosters strategic partnerships with clients for developing mutually beneficial revenue streams. Maurice will be pleased to advise solicitors in private practice, in-house counsel, accountants, and other professionals seeking to instruct barristers directly, on suitable choices of counsel and on fees. He is always interested to have feedback on the service our barristers and clerks provide to our clients. Prior to joining Doughty Street he spent five and a half years working at 2 Hare Court (the Chambers of Jonathan Laidlaw QC), a leading criminal and regulatory set, which he joined from a UK-listed global recruitment company where he sourced partners and associates for City and International firms. Before that he worked for a firm of specialist fraud solicitors. He graduated in English and Law from the University of Cambridge, and is a member of the Legal Practice Managers' Association, the Chartered Institute of Marketing, and the Financial Services Lawyers' Association. The 2016 Chambers & Partners Guide says of him that he "is hailed as a fabulous asset to any chambers." The 2017 Guide notes he "attracts high praise from sources", "is very business-minded, and [is] a massive credit to Doughty Street." Peter is the Business Development Manager for the North of England. Based out of our Manchester offices, Peter develops new relationships for Chambers whilst reinforcing existing ones. Peter joined Doughty Street in 2018. Peter benefits from having many years' experience clerking at a leading set in his native North East. Richard is the Marketing and Admin Assistant based out of the Manchester office. 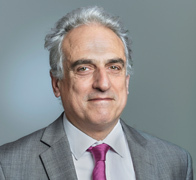 Richard joined Doughty Street Chambers in 2018. Sandy is the Library Manager. She is responsible for the development of Chambers’ legal information, our library and maintaining the internal current awareness services. She also offers paralegal support to the practitioners and is responsible for the production of the Doughty Street Human Rights Bulletin. Sandy joined chambers in 2008 having worked previously as the legal resources manager for a city law firm. Previously Sandy was the EU Publications and Information Manager for Lexis Nexis. Sandy has a law degree and various postgraduate diplomas including EU Social Policy; Women and the Law; and International Law. Louise is the Chambers Librarian. Louise works with Sandy in controlling and developing the operation of Chambers’ library, including research facilities and the preparation of court bundles. Joined Doughty Street in August 2015. Louise is a graduate in European Humanities with Classical Studies and also holds an MA in Library and Information Studies. She has a varied background in legal library management and information administration having worked at the British Dental Association, a range of large city law firms and within the financial services sector. Cherno is the Head of Facilities. He is responsible for the day to day management of all Chambers facilities and administrative functions. 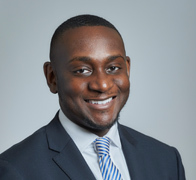 Cherno joined Doughty Street Chambers in September 2014 following his previous role as a Public Law Paralegal at a Top 20 ‘Magic Circle’ City Law Firm. Prior to this, between 2009 and 2013, Cherno enjoyed various roles at Doughty Street Chambers as a Junior Clerk, Legal Researcher and Administrator. He currently holds an LLB Hons Degree in Law and an LLM Master’s Degree in Intellectual Property Law. He was born and educated in The Gambia and has a great passion for film and theatre, as well as a strong devotion to various charitable organisations in both the UK and The Gambia. Olivia is the Human Resources Executive Assistant. Olivia’s role is to assist and support the Chief Executive with special projects, human resources and administrative processes. Some of her main responsibilities include planning pupil processes, managing HR files and supporting recruitment. Olivia joined Doughty Street Chambers in August 2017 after graduating with a Philosophy degree from Lancaster University. Cynthia is the Front of House Supervisor. She heads the Reception team which is responsible for front of house, switchboard and meeting room facilities. Cynthia joined Chambers in January 2006. Eunice joined Chambers' staff in July 2007.